India has surpassed the US to become the world’s second largest smartphone market, crossing 220 million in active unique smartphone users in 2015. 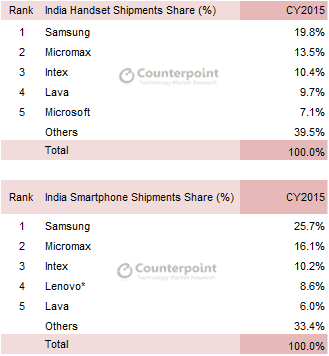 India has been one of the fastest growing smartphone markets in the world. The ‘Make in India’ program has proven to be quite successful so far, and the latest. According to a report from Counterpoint Research, the Indian smartphone shipment grew 23% and has now crossed the milestone of 100 million units. This is the first time ever that India has pushed ahead of the US in the smartphone user base which now stands at 220 million. On revenue market share basis, Apple was the third largest brand during the year with 11%, improving on its 2014 revenue share of 7%, even though it had only 2% smartphone volume share. 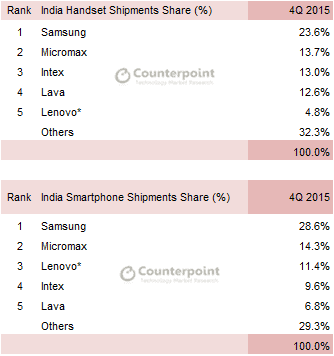 However, the brand continues to trail Samsung and Micromax in 2015, two smartphone makers which held on to their No #1 and No #2 positions by volume market shares in 2015. 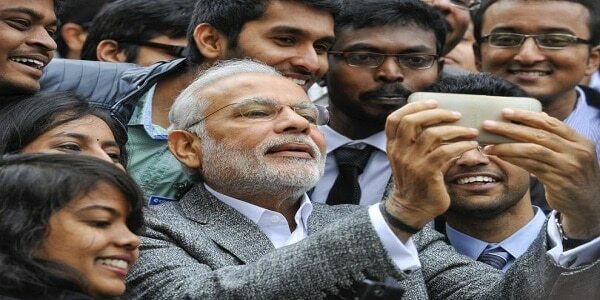 PM Narendra Modi’s Make India Campaign has played a vital role in helping India beat the US. More than half of the smartphones sold in India during the quarter were made under the Make in India project, which is a great achievement for the Modi Government. Adding to this, about 20 smartphone manufacturers are currently manufacturing smartphones in their own facilities in India.